Wouldn’t it be great if children behaved because they wanted to? Learn how to raise a well behaved child who WANTS to behave, even when no one is looking. A ton of parenting advice discuss kids’ misbehavior and how to get through their outbursts. We deal with tantrums, follow through with consequences, and pick our battles. All good stuff. Except, what if we could raise kids who want to behave? Kids will act up and misbehave, no doubt—even we adults do. And we should worry if our kids never tested boundaries. But what if we focus less on patching up misbehavior and instead focus on preventing them in the first place? What if we focus less on power struggles and more on building strong relationships with our kids? This doesn’t mean we’ll be permissive. We still need to enforce limits and set boundaries and apply authoritative parenting techniques. Maybe we can address deeper issues and prevent misbehavior in children to begin with. Let’s focus on preventative measures. This isn’t a “1-2-3 process then you’re done” article. Instead, examine your parenting and how your actions contribute to your kids’ misbehavior. Build a different relationship that encourages them to want to behave in the first place. Most of us understand the importance of praising good behavior. We encourage our kids to share, help with chores, treat others kindly—and we make sure they know we appreciate their behavior. Except what if we’re not supposed to praise their actions, but their character instead? You see, when we acknowledge kids for their actions, we focus solely and only on the behavior: “Thank you for helping!” or “Will you help your brother?” Kids then focus more on external cues to their choices, rather than looking within at their own internal moral compass. Instead, tie children’s good behavior with their moral character: “Thank you for being a helper!” This little change helps kids internalize their behaviors and turn inward to decide: What would a helper like me do? Have you noticed that kids act up when we’re not at our best? Either we’ve got a zillion tasks, or we’re having a bad day ourselves, or we’re too tired to meet their demands. Kids sometimes test their limits because they need our attention. Instead, they feel terrible yet are too young to grasp their emotions, much less know what to do with them. They’re tired, so they’re not making the best decisions. Nor are their patience and understanding at their best. And it’s during these least convenient and most annoying times that our kids need us the most. What to do? Before they have a chance to spiral downward, reconnect with your kids. When they wake up in the mornings, hold them in a warm embrace and gather for breakfast. Play a game or read a book before dashing out the house. Not enough time? Wake up 10 minutes earlier and snuggle together in bed. After school, greet them with a warm smile and a hug. Let your face show that you’ve missed them and are so glad to be in their company once again. Discuss your days. Giving your kids 100% of your time, even for 10 minutes, can erase their anxiety of having been apart. They’re less likely to misbehave after having their cup filled. And they’re more likely to play without needing your constant attention. 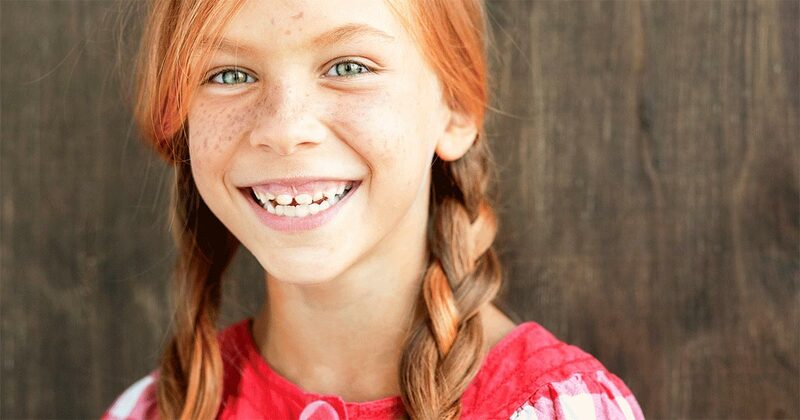 Read about the importance of downtime for children. Guilt, however challenging an emotion, is a powerful one that can actually help steer your child to make good decisions. 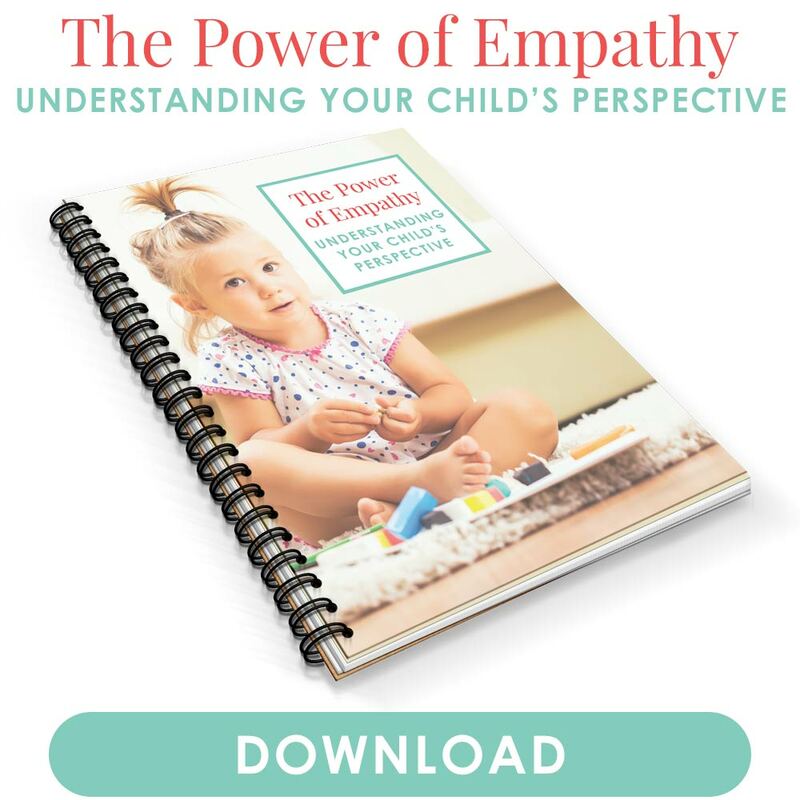 You’re developing your child’s empathy and ability to put herself in others’ shoes, even if that means feeling guilty about her actions. Because it’s exactly this combination—empathy and guilt—that will encourage her to correct her mistakes and avoid them in the future. Learn more about how to help your child make good choices. In some classrooms, teachers who set low expectations of their students received just that: students who tested poorly and misbehaved. But teachers who set high expectations saw different results. These students performed not just average but exceeded the achievements of more advantaged students. All because the teacher expected a lot of them. The same holds true with parents and their children. How do you view your children? Do you pick up after them and let them talk back because you figure that’s just how they are? Or do you expect your children to behave, be self-sufficient, and respect others? Define your expectations… then enforce them. Your kids have the potential to meet them. Kids who misbehave do so because they’ve heard the message that that’s all they’re capable of. Erase that mindset and establish new and higher expectations. One that demands respect, kindness, and love. One that will warrant praise for all their hard work, and the encouragement to reach higher. Change your mindset, and you’ll see a difference with how your kids behave. Read more about how to raise hard-working kids. We all know a “goody two shoes,” the child who will follow rules to a T, all in the name of good behavior. Except kids who prioritize rules aren’t able to rely on their own good conscience—they would rather follow rules than do the right thing. After all, rules are “fixed” and don’t allow children to consider other options or push limits. Values, however, encourage kids to internalize principles and think for themselves. They don’t need to read through a list of rules to know the right thing to do. They turn inward toward and allow their values to guide their decisions. So don’t focus so much on rules. In fact, try to use the word less at home and instead talk about the values and principles your family abides by. Rather than having 50 rules to follow, highlight a handful values that can guide your child’s decisions. And describe why certain principles are important to your family. If your child isn’t cleaning up toys, don’t focus so much on the rule about cleaning up after play time. Instead talk about the importance of taking care of toys and clearing the floor so others don’t trip and get hurt. Read more about valuing responsibilities instead of rules. A mere acknowledgement of his feelings erases the divide between you and your child. You’re on the same side. You’re there to help him through his emotions and show you understand what he’s going through, even while you enforce consequences. And sometimes that’s the trouble with the parent-child relationship. Power battles can get in the way of what can be a loving, respectful relationship. But the more our kids see us as coaches or guides rather than tyrants á la “Kids rule! Adults drool!” the more they’ll want to make us happy. That should be the first reaction when you see your child get hurt, even if she misbehaved in doing so. Not: “See? That’s why I said not to jump off the couch!” Our priority should be our kids’ well-being, with discipline and teachable moments coming second. Stay calm as well, especially during a meltdown. She needs to know you won’t go away, even when she’s at her worst. She’s less likely to tantrum again, having you nearby to help her regulate emotions. And when your child tells you something she did wrong, thank her for telling you. She shouldn’t feel so scared of your reaction or of potential consequences. You don’t want her to keep things to herself than to admit them. Let her know she’ll always have your support no matter what. Kids can behave, regardless of temperament. It’s easy to point to kids and assume they’re the type to misbehave. Focus on building a strong, supportive relationship with your kids—one without the power struggles—while still enforcing boundaries. Set high expectations of how they should behave, regardless of their past behavior. Show empathy so your kids know you’re on their side, and encourage them to do the same. Link good behavior to moral character so they internalize their actions and turn inward to make choices. Emphasize values over rules so they adopt a set of principles to guide their behavior. And watch your reaction when they misbehave. A positive one assures your kids you love them no matter what. We need to focus on the beginning, long before our kids have even misbehaved. After all, it’s harder to correct poor actions than it is to raise kids who want to behave in the first place. Are You Balancing Your Children’s Needs Fairly? In which ways do your kids behave well, and in which ways can they improve? 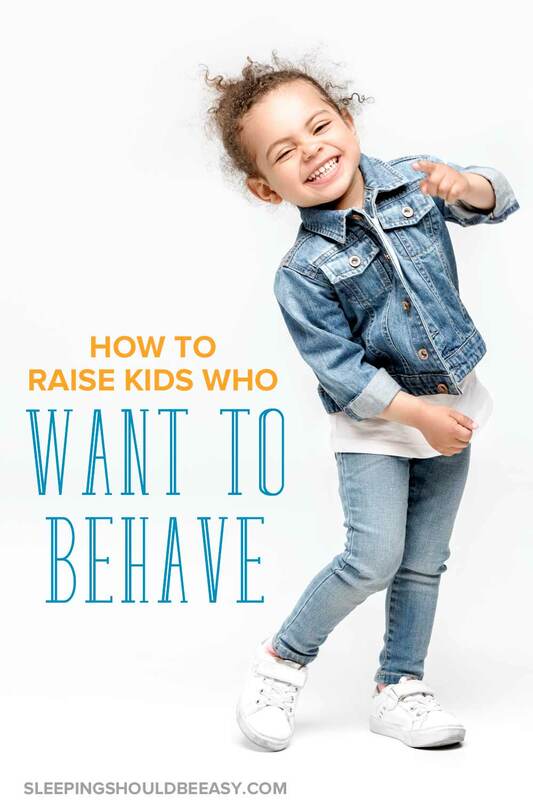 What are your tips on how to raise kids who want to behave? Hey Nina and thanks for a very informative post! “But the more our kids see us as coaches or guides rather than tyrants á la “Kids rule! Adults drool!” the more they’ll want to make us happy.” – I think this statement says it all and if more parents followed this rule of thumb, I think their households would reflect a more nurturing and respectful environment, benefiting both child and parent alike. Thanks again and take care. I was amazed with the low expectations too. 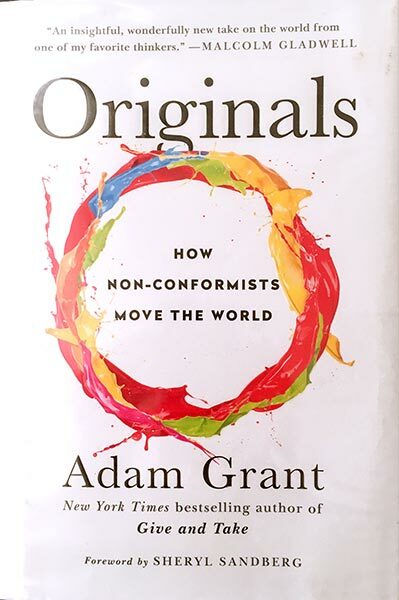 Of course this isn’t guaranteed, but I read in a book (I think Smartest Kid in the World or How Children Succeed, I forget) the case studies where a teacher’s expectations changed student outcome. The same applies to parenting! These kids will suit up when it comes down to it lol! I think expectations are huge! It isn’t fair to expect a child to behave when we act as though we expect them to behave poorly. My kids thrive when I give them respect, responbility, and space to decompress when they are tired. Great post! Thanks, MaryAnne! Yup, I think expectations are a big thing. It’s crazy how psychology drives people to want to fill the perception other people have of them. Interesting that you said we should look out for their well-being first and foremost even if they got hurt while not listening to you. I say it all the time, “See? I told you not to stand on the chair..” etc. Definitely it’s hard to give 100% to our children, especially when I’ve got a 100 other things to do at the same time. Will try to remember this when I get home tonight after work. Haha yes! So tempting to say, “Told you so.” Don’t worry Lisa, I don’t know any mom who can give 100% to her kids all the time. But we can try, and at least we know we did. I think what helps though is that the more we are there for them, the less outbursts they have. This is an awesome post (totally agree about the uninterrupted time) but I’m struggling with some of these issues and want your take — what do you do if you set the expectations and your child resists them, like, hard. Example – you ask your child to bring her dishes to the sink and she simply refuses. My kid is in a big no phase (even stuff like washing her hands after using the bathroom – driving me crazy!!). Offer choices (or even the appearance of a choice), e.g. “Do you want to wait until you finish your drink to put the dishes in the sink, or do you want to do it now?” A choice gives her autonomy to decide HOW she wants to do it. Frame it as a positive: “After we place our dishes in the sink, we can check out that puzzle you liked earlier today.” The focus is on the ‘after’ part and less on the means to the end. Also, see how often you say no throughout the day, and see if it’s all that necessary. Can you phrase it another way? It amazes me how often I’ve said a version of ‘no’ to my kids on a given regular day. Makes me amazed that they can put up with hearing ‘no’ so often from me lol. Pick your battles. Some no’s cannot be compromised, others, ask yourself if you would like to be given a break once in a while. Hoping these help. I know it can be maddening when kids are defiant and sometimes it takes all of me to just keep my temper in check! Especially, as I’m sure you can relate, when you’re pregnant :/ Let me know if anything progresses! You should DEFINITELY write this up as a blog post! That’s all really, really good advice. Sometimes I get so aggravated that I forget everything I’ve ever learned/read, so I’d love something I could post on my fridge 🙂 Thanks. What a great post! I have been busy lately with life and off our normal routine. I’ve been doing a lot of distracted parenting. I love how you stress the importance of connecting and one on one attention. I think it took reading this to remind me that she is acting out because I’m not giving her my best lately. Thanks for the great post and reminder of how to get my sweet little girl back to herself!